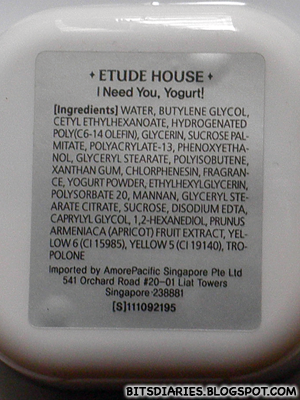 Active Ingredients: Yogurt, Apple, Raspberry?? ?, Kiwi and Apricot extracts. 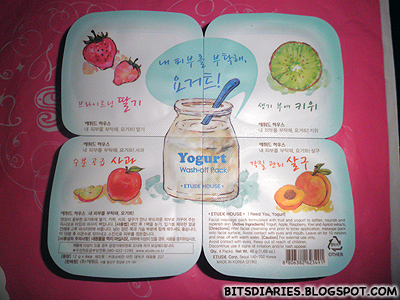 Before I purchased this Yogurt Pack, my friend actually gave me the Strawberry and Kiwi packs to try... I tried the Kiwi pack first but I'm too excited and forgot to take picture. 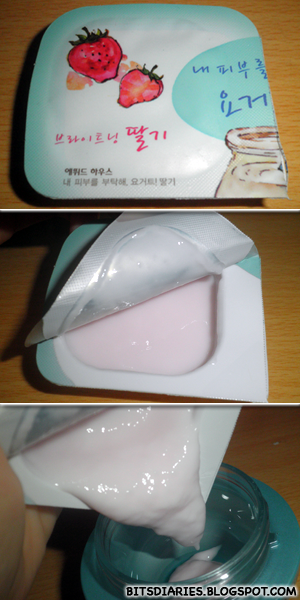 (-.-) Anyway, I tried the Strawberry pack the previous night and I love it! It's like uhhh...watery light creamy(?) texture and for the Strawberry Pack, it has a pale pink color whereas for the Kiwi Pack, it has a pale mint green color. I have yet to try the Apple and Apricot Pack so I can't tell their colors. The Strawberry Pack smells totally like Strawberry! 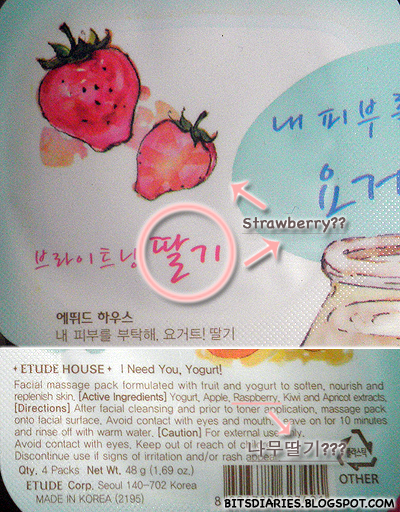 (nonsense!, of coz it smells like strawberry if not what? smells like coke? -.- *craps*) [...] Not too strong. It has a very mild scent~ Smells delicious~ *YUM! * As for the Kiwi Pack, I forgot what's the scent is but anyway, it has a really nice fragrance! Really great review! I love your writing style <3 I got one of these as a sample and can't wait to try it out now!